There’s nothing quite like shopping at farmers’ markets. I love talking to the farmers about what’s best and in season and zigzagging around my favourite stalls, accepting a segment of mandarin here, and a slice of tomato there, ogling pert avocados, fat garden peas, enjoying the fragrance of pho (pronounced fuh), a square of sourdough and wheeling my retro nanna cart about to decide what to buy based on what's best and in season. Market forces: shopping at Rusty's Market in my hometown of Cairns has given me very high expectations. 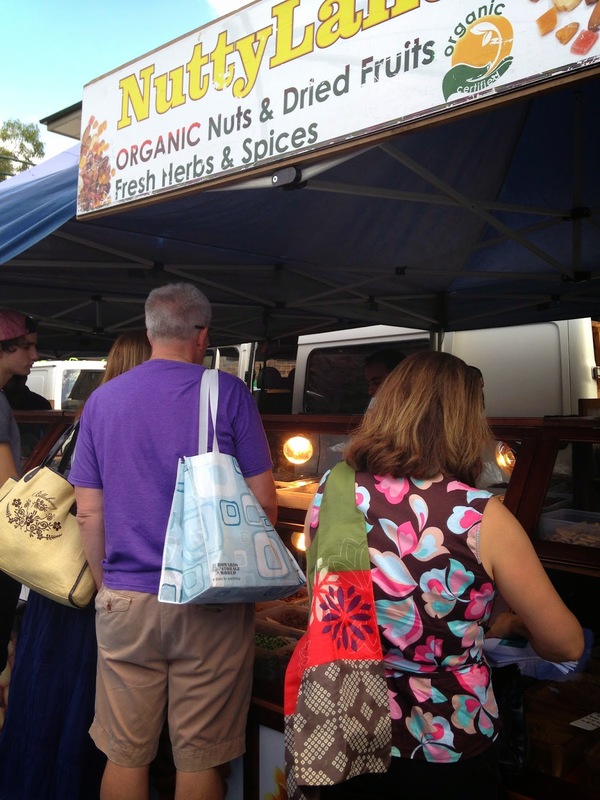 Sydney has its fair share of fabulous markets. 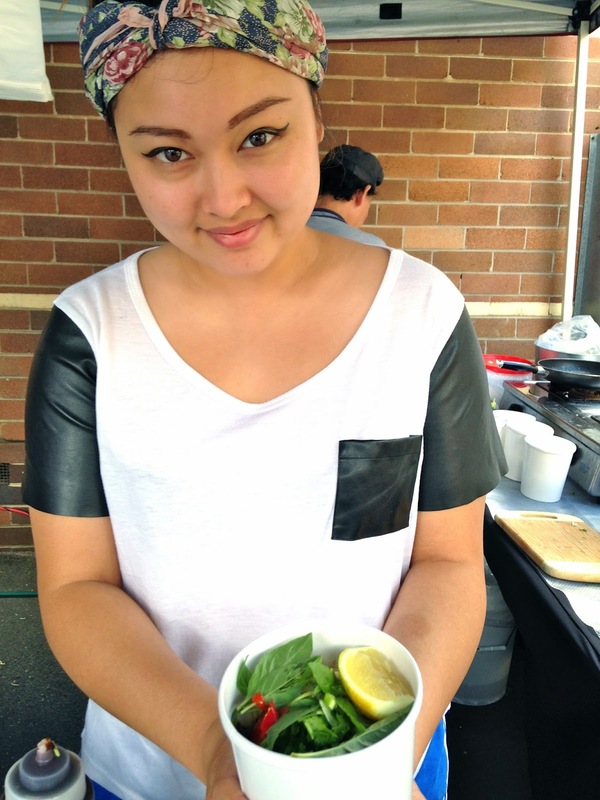 There's the pioneering Growers' Market in Pyrmont, the equally slick Eveleigh Farmers' Market and Marrickville market in the inner-west as well as bountiful bazaars held everywhere from Hornsby to Manly, Bondi and Bulli. DIY trail mix with a range of nuts and dried fruit. When I have the drive, time and energy and am not chasing deadlines, I've been known to get up pre-dawn on a Saturday to drive across the city to the Sydney Markets. My family and I also make a day of it at the Grower's Markets in Pyrmont, Marrickville and Eveleigh. For the sake of convenience, I also stock up at my local Cronulla cafe, HAM, which hosts a pop-up organic market on Saturdays. When I first visited Ramsgate Organic Foodies Market a year ago, it was not exactly radical when compared to what's out there. But one thing is for certain: the majority of what we buy from there is far better than OK. The market seems to be improving every time we take the 25-minute trek across the Captain Cook Bridge from Cronulla in Sydney's south. It's compulsory to make a rye request at Reuben Republic. One of the many reasons I am now a regular visitor to the Ramsgate Organic Markets is because it's a relief not to fight the traffic or burn too many food miles driving across the city to source fresh organic produce. 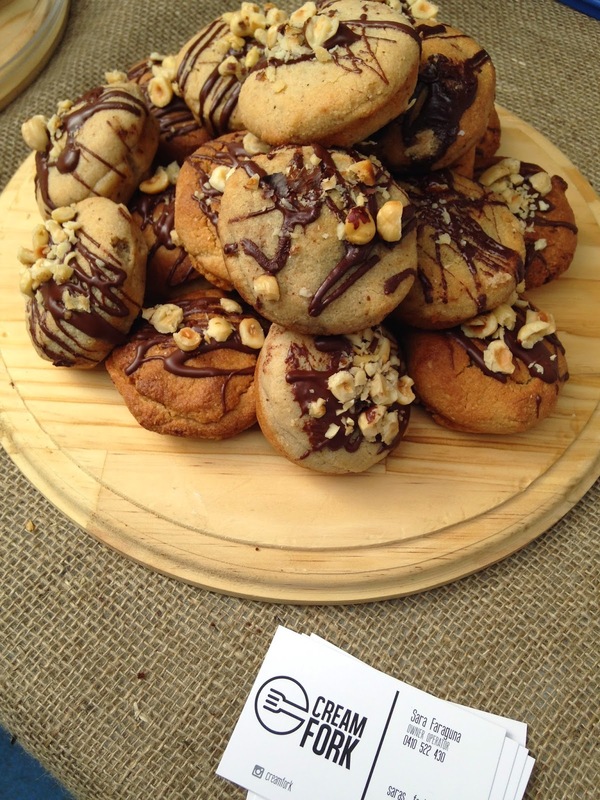 Another market on my radar is Como Riverview Market, a monthly affair. 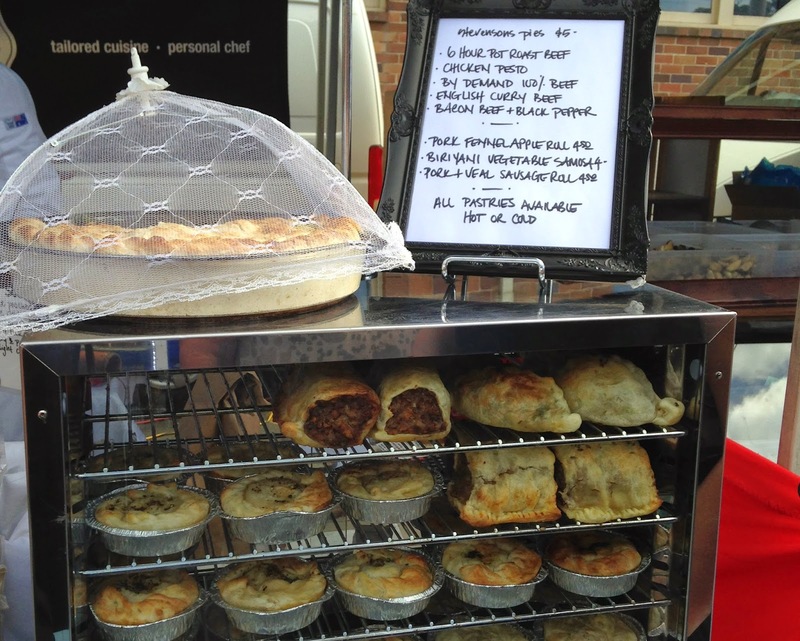 Stevenson's Fine Foods is a great pit-stop for a gourmet pie. What I love about Ramsgate is what I love about all markets: that communitarian buzz. People stopping to taste and chat with artisan producers who are justifiably proud of their products. I am also so grateful that I have a market that is relatively nearby where I can jam with the apple-cheeked farmer about when she picked her pink lady apples and enjoy the fact that both a paleo stall and glorious counter of cakes share equal promise, depending on your perspective. Stevenson's is great for a guilt-free midweek meal or a gift for a neighbour in need. Nutjobs unite for this chocolate hazelnut spread. Shopping at such markets is truly a sensual pleasure. Much of my motivation in making the drive comes from the fact that I want it to continue and it can only go from strength to strength if the community supports it. 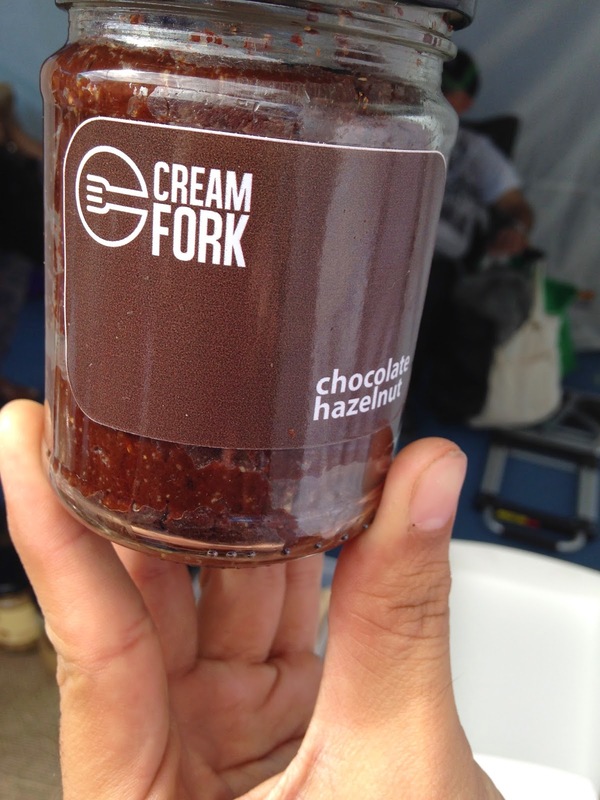 On my last visit to stock up on food for Christmas, my first stop was at the Cream Fork stall where my sons eyed off the NOTella roasted hazelnut spread, Snickers-me-not tarts and raw vegan blueberry cheesecakes. The stall is paradise for paleos and the proof is also in the gluten-free, refined-sugar free, dairy free, almost raw and vegan pudding. Say cheese ... my go-to stall for goat's curd. Eat Fuh is a family affair. Whether you're looking for an artisanal wedge of cheese to impress your dinner guests, or a quick bite to eat before traversing through the crowds, the market has much to be proud of: from the New-York-style sandwiches stacked with pastrami, Swiss cheese, sauerkraut and Russian dressing to the fiery chilli chutneys and pre-made meals from Stevenson's Fine Foods to the air-dried meats from Backa. 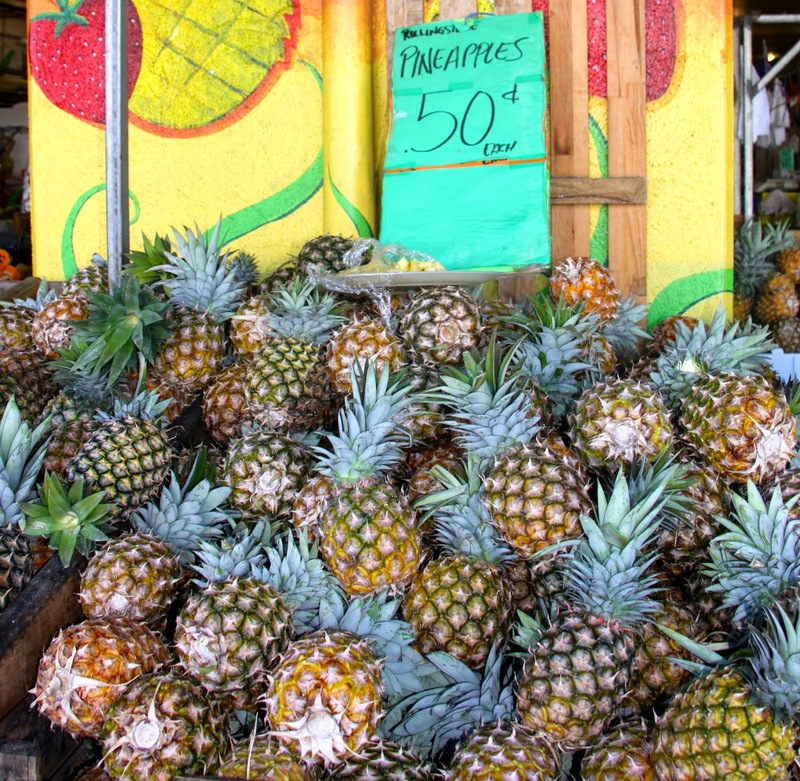 My tailor-made itinerary always includes a stop-off at the fruit and vegetable stall manned by a young Mauritian just so I can hear him sing "Sweet, sweeeeeeeeet mangoes". I also like to time my run around lunchtime so I can pay a visit to the Eat Fuh folk, who offer shots of the Vietnamese noodle soup, pho, as testers in the hope that it will seduce you into buying the Vietnamese soup. It's a winning formula. 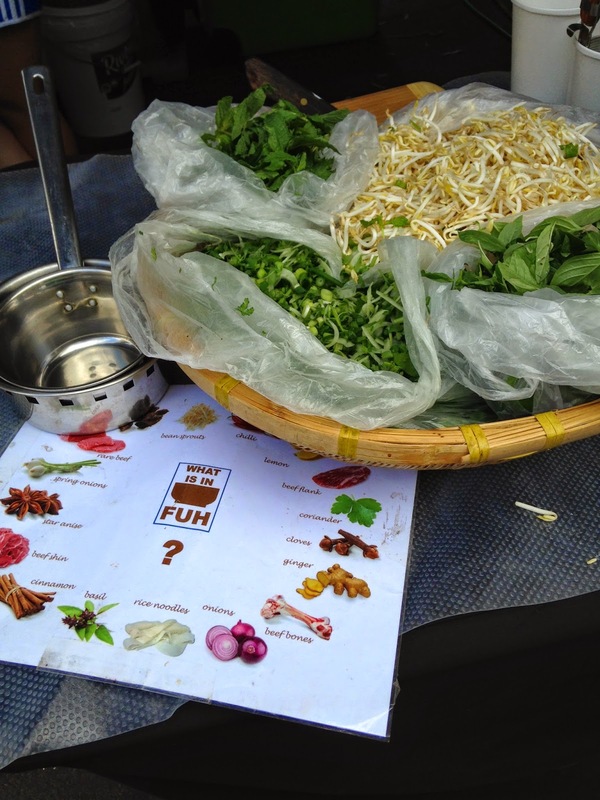 The noodle soup, which The Urban List named as the #1 Noodle Choice at the 2014 Night Noodle Markets, is chock-full of bean sprouts and ginger and chilli and shallots and is so fragrant and comforting that - for fuh's sake - it is reason enough to cross the Captain Cook Bridge. 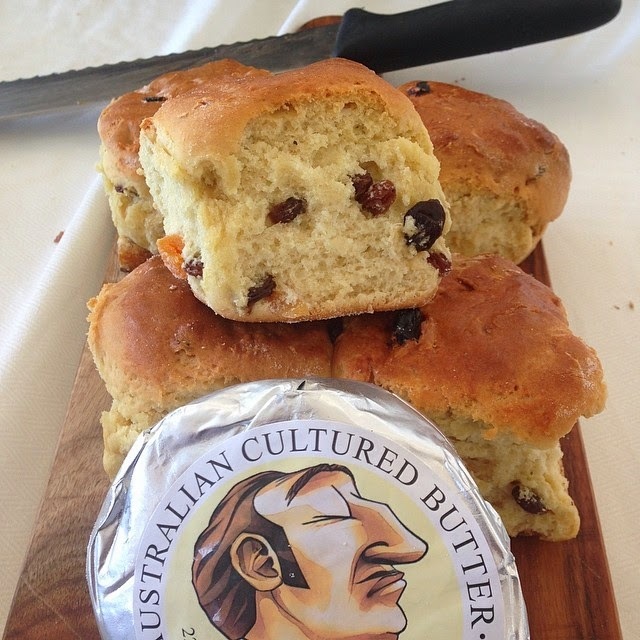 Scones get the high society treatment when slathered with Pepe Saya butter. Paddy the Baker has also graced the market with his presence. I adore the baker's Irish soda bread, a squat loaf of airy bread that is best enjoyed with a wodge of Pepe Saya butter. Sweet tooths are also sated with freshly baked scones, butter and jam. Worth noting is that the bread contains no nasties or preservatives and the potato bread, according to Paddy, is the best outside Ireland. 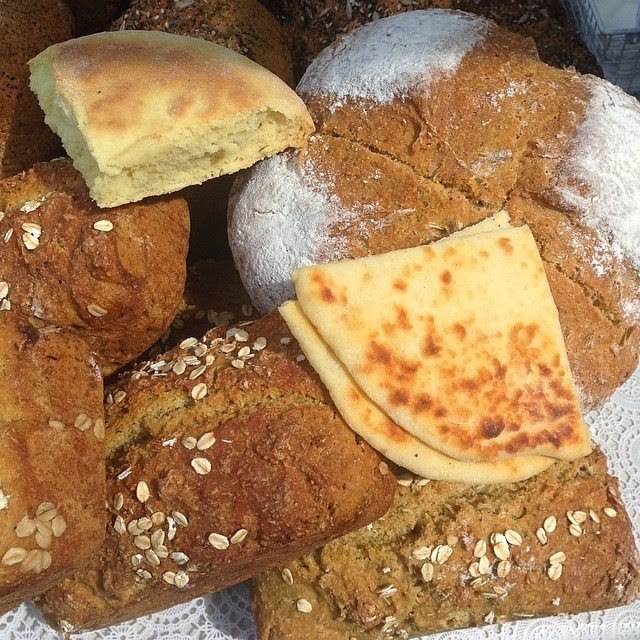 Pat a cake, pat a cake, baker's man.... with bread from Paddy the Bakers. In a pickle? Talk to James Bron Mackney. One of the surprise winners of the market is Ferment It. Hippocrates said: "All disease begins in the gut. Let food be your medicine and medicine be your food." I've fallen hard for the raw organic pre- and probiotic packets of goodness, which are full of essential digestive enzymes and super living probiotics to encourage vital intestinal flora. Ask James Bron Mackney or partner Belinda Smith and they will happily tell you why we should be eating more fermented foods. For starters, the enzymes strengthen our immune system and assist with eliminating bad bacteria. 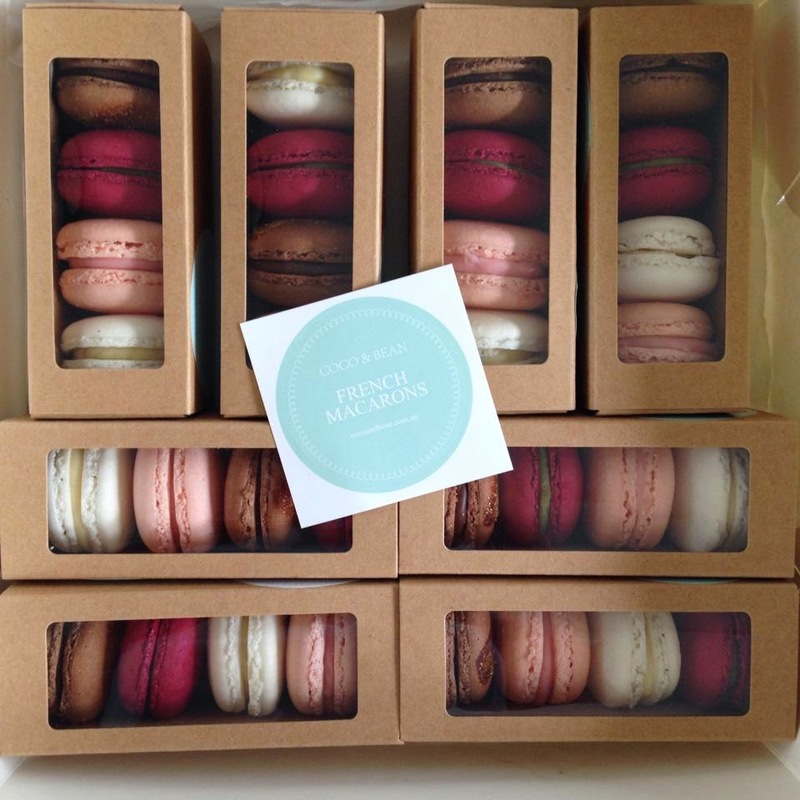 If you are mad for macarons, visit Coco & Bean stall. Arrive hungry and try Chilean street food from Pochito corn fritters from Fritter House, a pot of chai tea or choc chip cookies, a yoghurt pot from Stefano's Kitchen or some smoked salmon and trout dip from Snowy Mountains Trout. 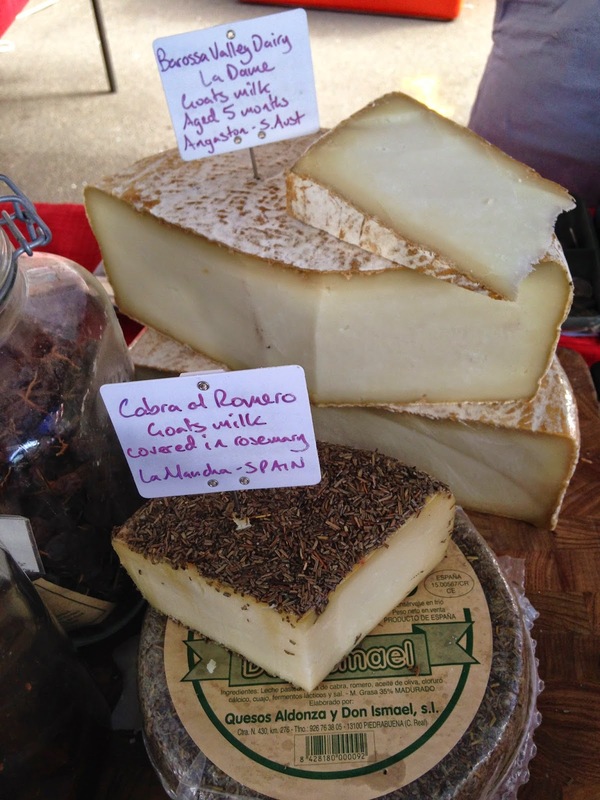 Add to the list the Isis River Farm organic meat stall, macarons from Coco & Bean, the stall devoted to artisan cheeses - my go-to is the goat's curd - cronuts, waffles and organic wines. So, Cronulla peeps, get out and support Ramsgate market until such time as the beachside suburb pulls together its own farmers' market. 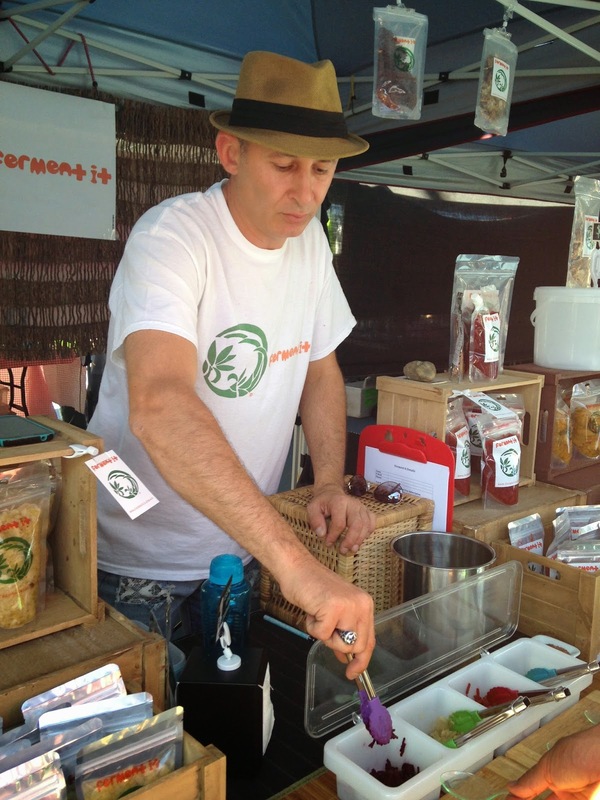 Ramsgate Organic Foodies Market is located at Ramsgate Public School, Chuter Ave, Ramsgate. It is open 8am-1pm every Saturday.